From 1999 Muzvare Betty Makoni supported thousands of girls in Zimbabwe to transform from perceived victims to leaders and many now walk in the fullness of their potential. Girl Child Network Zimbabwe turned 10 on 21 March 2009.She has every reason to celebrate her achievements especially now that her original girls empowerment model has been replicated in many parts of the world especially in Africa where such work is thriving in Sierra Leone, Uganda and Swaziland. Her efforts to build a strong movement of empowered girls round the world is a dream come true with her new charity set up in UK. Muzvare Betty Makoni (BA Gen, BA Special Hons) is Founder and current Chief Executive Officer of Girl Child Network Worldwide, a registered international organisation championing for empowerment and education of girls in Africa since 2009. From 1998 to 2008 after founding Girl Child Network in Zimbabwe she worked with over 350 000 girls over a decade and helped many of them to grow into confident women leaders that they are today. With her proactive and preventative girls empowerment model which has been replicated in over 10 countries worldwide, she churned out thousands of girls from poor backgrounds who are in various careers previously dominated by men. In her many high profile titles, millions across the world passionately call her CNN Hero as she was the top in 2009 category for Protecting the Powerless and was honoured by Goodwill Ambassador Nicole Kidman. Recently in UK she was presented with the Prestigious Profile In Courage award for her role to stop FGM and harmful cultural practices in UK and Africa. In her many other community leadership roles she is an Ashoka Fellow, CNN hero, UK Diaspora Changemaker and an officially approved and awarded Motivational Speaker of the year-2014 in UK . Her career spans over many years as a gender activist to UK Gender Based Expert with special focus on girls she is today. In her tribe and many African Royal communities round the world, she holds an official title Muzvare-Her Royal Highness-The Princess and recently she was officially installed as a Yeye Ashiwaju Omoba translated means Mother of and Leader of African Princesses by Princess Deun Adedoyin Solarin of Nigeria which is the highest honour an African woman can get from her people. Betty Makoni`s experience shaped her to be the advocate and champion for girls rights she is today. Orphaned at age 9, she grew up as one of the most poorest and marginalised African girls in the early 1980s and the education she attained up to degree level was through the Work For Your Education program where she became a child labourer at a middle girls` catholic school in Zimbabwe and it is this experience that shaped her to be the humanitarian she is today. In 1998 she founded the Girl Child Network in her home country and gave her time fundraising in order to build Girls Empowerment Villages that rehabilitated over 70 000 girls sexually abused. Realising what she had done to empower herself as a poor girl , she went back into the poorest areas of Zimbabwe with a leadership and mentorship program that inspired, motivated and empowered over 350 000 girls in school based clubs. Today Girl Child Network is a model is replicated in six African countries with her volunteer time to train, nurture and support many leaders. She has started a Girl Child Empowerment pilot project at a Girls School in Hackney, UK which has been a success story with recent launch of UN Day of the girl child. Recently she was selected to be in the team of experts for Preventing Sexual Violence Initiative to be officially launched on 30 January 2013 by the UK Foreign Office. She joins the team as a Gender Based Violence expert. She is apparently developing her career as a gender based violence expert for recently she was selected to be part of the Team of experts to work on Preventing Sexual Violence in Conflict an initiative by Foreign office. She says that she will work to save the most vulnerable and powerless women and girls and those invisible and therefore her activism to speak and advocate for women from her base in UK. Her efforts are focused in creating the Girls Empowerment and Education Fund to be managed by Girl Child Network Worldwide ensuring marginalised girls in Africa get support for their projects without bureaucracy and delays leading to loss of lives and human potential. Despite the challenges, persecutions and trials and tribulations, Muzvare Betty Makoni has not stopped her humanitarian work to rescue and protect the most vulnerable women and children wherever she sees them suffering. She has become the spokesperson and advocate of the voiceless. She recently published her second book entitled Never again, not to any woman or girl again and has gone to inspire and speak to many women round the globe on the need to strengthen their work and build sustainable income at grassroots level to support whatever innovative strategies that alleviate poverty and violence. Even though many associate Muzvare Betty Makoni with formation of Girl Child Network only, she has many organisations she formed like Ray of Hope in Zimbabwe which supports survivors of domestic violence at grassroots level. Her life was spent volunteering to shape policies and strategies of other big organisations like Oxfam Novib, UNAIDS and currently she is dedicated to supporting the work of Restored UK as a Trustee to ensure there is a strong global alliance to stop violence against women. Girls round the world have expressed gratitude to Muzvare Betty Makoni as they passionately call her by writing her story and making it a life donation that has inspired and empowered many girls round the world. One of her girls she admires the most Memory Bandera set up Girl Child Network Uganda where she helps many girls. Muzvare Betty Makoni has a lifetime of volunteerism and service to many causes and has served on Oxfam Novib and UNAIDS Round Tables. She sits on many boards of high profile organisations like RESTORED UK and serves as Ambassador and Patron of Africa Achievers Award and Zimbabwe Achievers Awards. Muzvare Betty Makoni is the first woman to serve as Global Ambassador for UN 19 days of Activism for prevention of Child Abuse by Women World Summit an organisation with UN consultative status. Muzvare Betty Makoni recently accepted to be Patron of UK based Malawi Women`s Association, an organisation whose success she wants to see. For all her hard and passionate work she has been featured by major television stations and global newspapers like Metro UK just recently as Woman of Courage, CNN, BBC, Huffington Post, Channel Five UK, New York Times, Marie Claire, Voice of America, The South African to name but a few. The world has responded by documenting the success of her work and the many beneficiaries whose lives were saved or transformed. CNN, Dalai Lama, World Children`s Prize and My Hero`s Project awarded Muzvare Betty Makoni as a hero. Zimbabwe Institute of Management awarded their first national contribution to Muzvare Betty Makoni. Her tribe where she is a royal officially conferred the Title Muzvare- Her Royal Highness The Princess to Muzvare Betty Makoni for saving girls lives. To her name are 42 global awards from the most Prestigious organisations in the world making her the most awarded African women where with the Decade Global Child Rights hero she became one of the honorary winners alongside President Nelson Mandela. Muzvare Betty Makoni might be the highest honoured and awarded African woman in the world with 42 local, regional and global awards for innovation, commitment and passion for her work to protect over 300,000 girls in Zimbabwe. United Nations Red Ribbon award honoured Muzvare Betty Makoni and Girl Child Network as having the most innovative strategy for gender equality. Muzvare Betty Makoni is an Ashoka Fellow and singled out as one of the investors in poor and marginalised women and girls deserving of this life honour as a fellow. News Week named Betty as one of the 150 women who shake the world, alongside US Secretary of State Hillary Clinton. An Honorary Decade Child Rights Hero award (2011) that Muzvare Betty Makoni received alongside President Nelson Mandela, who won the award, also shows the impact Muzvare Betty Makoni has made globally. In UK, Power Women named her Motivational speaker of the year. Muzvare Betty Makoni is a published author of a poetry book, A woman, Once a Girl: Breaking Silence, which was recently launched in London. 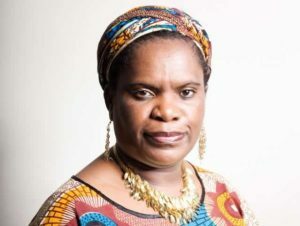 Her Autobiography Never Again, not on any woman or girl http://bettymakoni.authorsxpress.com/ is inspiring women round the globe. Her latest poetry book entitled, The Inspiring and Empowering World of Muzvare Betty Makoni celebrates many women who inspire her and also creates a 21st century rhythm for the women`s movement. Muzvare Betty Makoni is a hostess of a women and girls empowerment program on Pamtengo Radio every Monday. She is also hostess of a radio program called Never Again whose title is taken from her official Autobiography and weekly featured on the popular Zimbabwean radio called Nehanda Radio. Muzvare Betty Makoni is featured in best-selling books including Women Who Light the Dark by Paola Gianturco, On The Up by Nikki and Rob Wilson, as well as main subject in the award winning documentary, Tapestries of Hope, by U.S. Hollywood Director Michealene Risley. The Girl Child Network Empowerment Model which she started in 1998 has been singled out as Best Practice and included in University of Essex Journal for Human Rights 2010. Recently she was crowned Pan African Princess by Princess Deun Adedoyin Solarin. Many awards from grassroots to the UN honour her work for excellence, innovation and passion for girls and women`s rights. She was selected amongst 150 women who shake the world-News of the World-2011, Top 12 List of African Caribbean Women in UK and Europe-AfroNews 2013, was featured in Metro UK as Woman of Courage -2012. She is a Published Author, Poet and the most well sought after Speaker, Mentor and Coach. Her work is featured in the major mainstream media around the world making it the most globally covered work of one of the once poorest girls in the world of the 1980s. Girl Child Network in Zimbabwe formed in a poor high density suburb classroom in 1998 is now a global network for girls and women. Today many girls’ networks are all over the world. Her model for empowering and inspiring girls is the most replicated model in the world at the moment- whether formally or informally affiliated to Girl Child Network Worldwide. • Provide feedback and guidance on the appropriateness of proposed policies within the organisation’s mission, vision and values. To date assisted GCN come up with the Accounting and Procedures Manual, Personnel Policy, HIV/AIDS At The Workplace Policy, Safe house policy and Volunteer Policy. • Women World Summit, Switzerland, established the annual Prize Betty Makoni for Prevention of Child Abuse, celebrated World Wide on 19 November in recognition of my work combating child abuse at the grassroots level. 2003 – Action Research on HIV/AIDS and Girls’ Reproductive Health And Effects of Shortage of Sanitary Towels on the Reproductive Health of the Girl Child In Zimbabwe- funded by the Pacific Institute for Women’s Health. • Raising Awareness on HIV/AIDS, Children’s Rights And Virginity Testing, Mhandara days, Osborne Dam, December 2002.